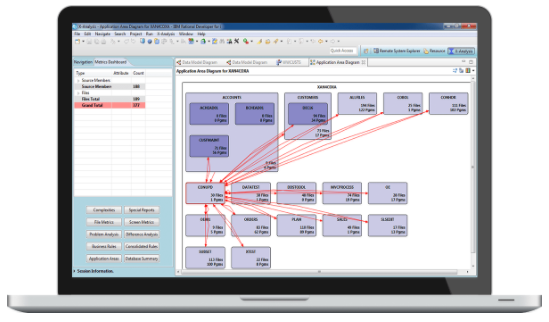 Fresche’s X-Analysis Professional is an application analysis and productivity tool that lets IBM i developers analyze and document their systems in detail, and extract design information so they can easily make updates. It allows developers to better understand, maintain, enhance and evolve their RPG, CA 2E (SYNON) and COBOL applications. It identifies all areas that would be impacted by code changes, saving time as well as removing any risks typically associated with modifying the code. X-Analysis Professional is the foundation of the full X-Analysis toolset and works with the modules to provide extended functionality.